In order to improve your fertility it is important to achieve and maintain a healthy weight prior to trying to conceive. Being severely underweight can make it difficult for a woman to conceive. One of the reasons for this is that body fat is essential in the reproductive process. In women with extremely low levels of body fat menstrual cycles can become very irregular and sometimes nonexistent. When the menstrual cycle is thus affected so is ovulation. Body fat also helps in the release of hormones that are necessary for the body to produce the egg. The good news is if infertility is due to being underweight there is a simple and usually effective solution. Gaining weight reverses the negative effects in most cases of infertility caused because the woman who is underweight. Medically, being overweight is defined as having a body mass index (BMI) of between twenty-six and twenty-nine. Overweight escalates to obesity if the body mass index is over thirty. Being overweight or obese can cause women to have fertility problems. Just as too little fat can cause a deficiency in some hormones too much can cause a woman to have too much of some hormones. In overweight women the production of estrogen can be excessive causing the women to have trouble ovulating. Being overweight can also be a contributing factor in polycystic ovarian syndrome which can cause disruptions in the menstrual cycle. Additionally, some studies show that it is more difficult for overweight women to find success with fertility treatments such as in vitro fertilization. When it comes to problems of weight, the simple solution is to correct the problem and move on with increased fertility. When overweight, women can often change the way they eat and adopt a healthier lifestyle of exercise and nutrition in order to lose the weight. In the underweight woman, there may be longer term effects of being underweight especially in cases where anorexia and bulimia are involved. When women are severely underweight for extended periods of time the body tends to feed upon itself in order to stay alive. When recovering from anorexia or bulimia, it is important to make sure the body is healthy before conceiving. 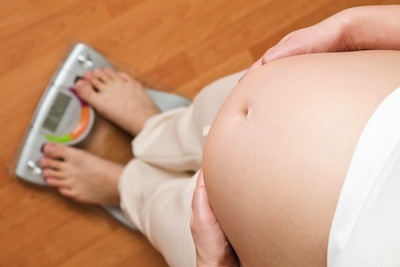 Mom’s weight is a huge determining factor in fertility. While many women who are underweight will be able to easily conceive and many women who are overweight will be able to conceive, when fighting with fertility problems a weight change in the healthy direction may boost fertility and increase the chances of conception. Keeping weight healthy after the baby is born is also very important for the health of mom and for the chance of future pregnancies.